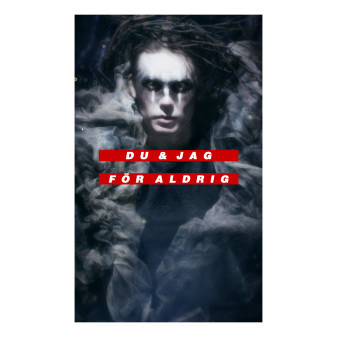 Something to Muse About: Albin Johnséns album "DU & JAG FÖR ALDRIG" available now! Albin Johnséns album "DU & JAG FÖR ALDRIG" available now! Just over a year ago released Albin Johnsén single "Tack För Idag", which was the beginning of a life story to get lost to find new paths. One, Albin, long and challenging journey in which he based on their own experiences of mental illness, unrequited love and the pursuit of self-esteem has shared their innermost thoughts to get back and finish to start something new. With titles such as "Nordstjärnan," "Om Du Bara Visste" feat Julia Adams, "Flyg", "Paradiset" feat Maxida Märak and "Thanks For Today", the artist and lyricist Albin Johnsén proven that he possesses a unique ability to touch the Swedish soul. With its vivid verses and accurate descriptive and her touching sense, he has managed to put into words what many young people today can identify with. Albin Johnsén today has reached over 100 million streams on Spotify and therefore belong to a unique group of mighty few and easily counted Swedish artists who managed to cross this magical border. When Alan's album release he releases even his brand new single "ring inte mig" today, 13 April.